Welcome! 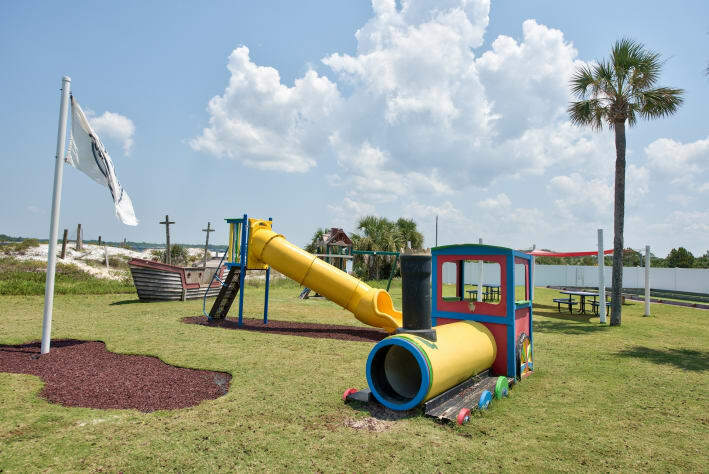 We are Pete and Chatt - Pinnacle Port Resort is situated on 25 acres, with 180 acre Camp Helen State Park on one side, Carillon Beach Community on the other and Lake Powell to the North. Our condo is in a gated community with 24/7 property patrol. 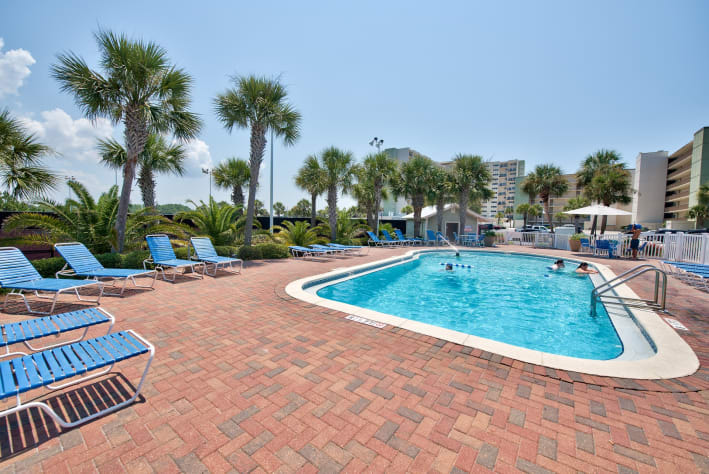 We are on the ground floor with handicapped parking immediately outside the front door, and the beach about 100 steps away. 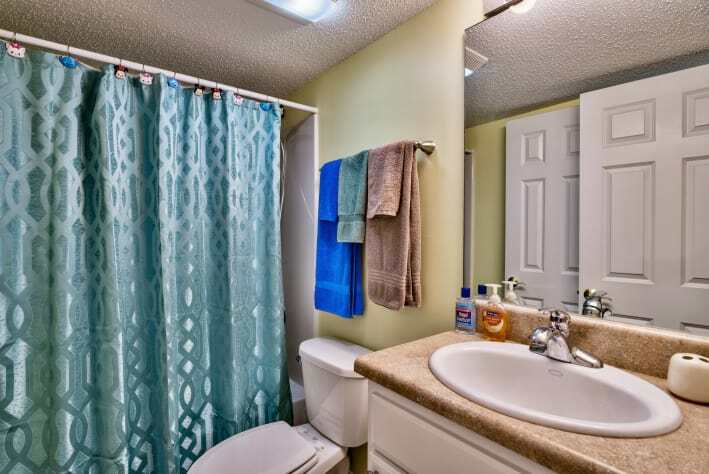 A cozy, peaceful two bedroom, two bath with all the amenities of home. Pinnacle Port Resort offers two pools (one of which is heated in the winter), four tennis courts, a basketball court, shuffleboard, playground for kids, BBQ grilling in the picnic area, bocce ball courts, saunas (separate for men and women), an exercise room, WIFI, library, a marina and boat slips. 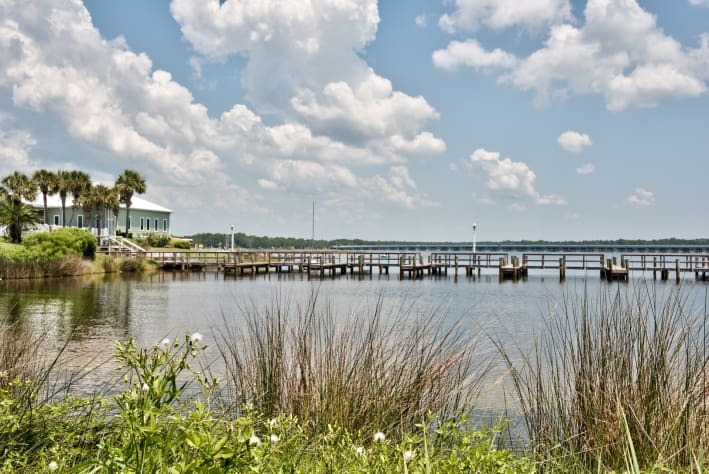 Fishing from the marina docks is permitted, a Florida fishing license is required. Nearby Lake Powell, a coastal dune lake, offers canoes, kayaks, standup paddle boarding and paddle boats for rent. 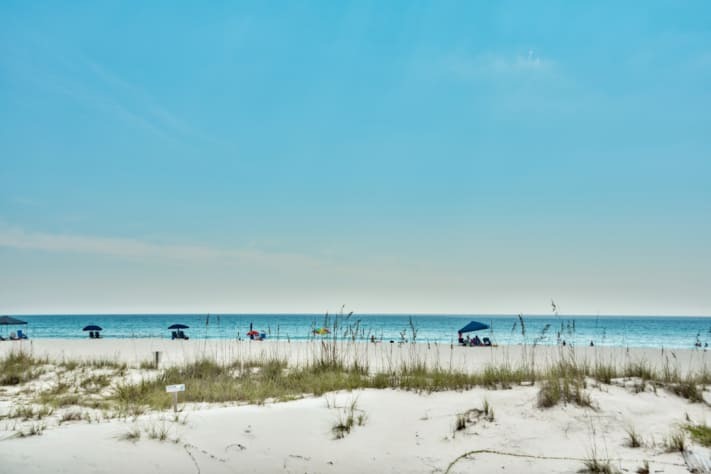 Of course the beautiful white sandy beach just outside the condo offers a refreshing escape from the hustle and bustle of daily life where you can relax and swim or simply do nothing! If you've any questions, please feel free to email or call either of us, Chatt's email is chatt_648@yahoo.com, mobile is 828-398-8393, Pete's mobile is 828-734-9393, email cgardner211@yahoo.com. 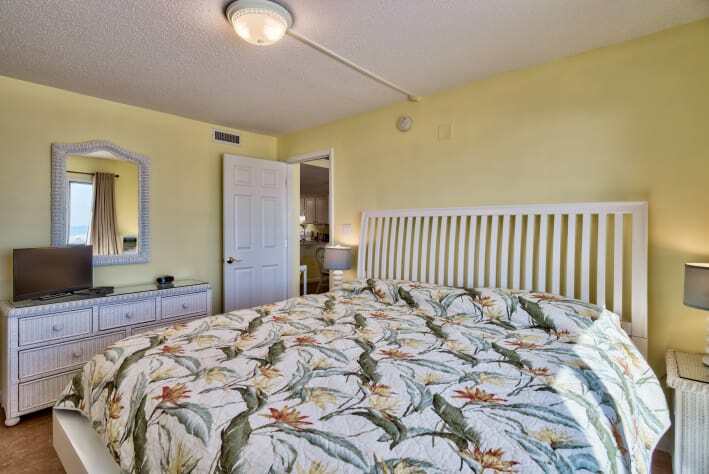 The condo master bedroom has a king size bed, bathroom with twin vanity, combination shower and tub with grab bar, flat screen tv, large closets and a beautiful view of the Gulf of Mexico. 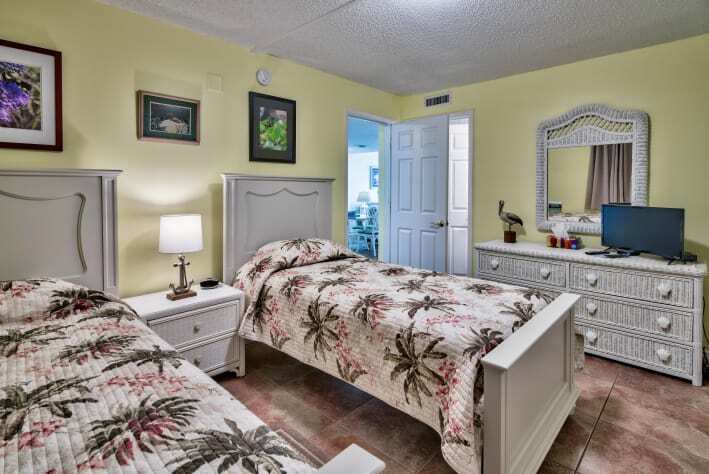 The second bedroom has twin beds with flat screen tv and adjoining full bath with grab bar for shower/bath. 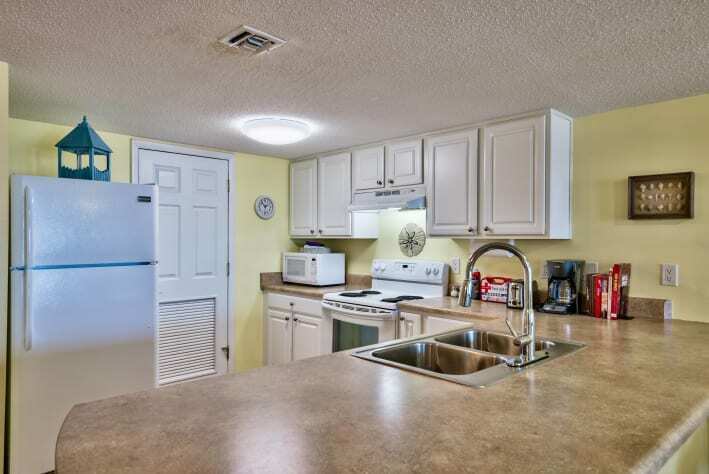 The kitchen is equipped with refrigerator with icemaker, stove, oven, dishwasher, both Kureig and Mr. Coffee makers, dishes, flatware, microwave, toaster and all the necessities. 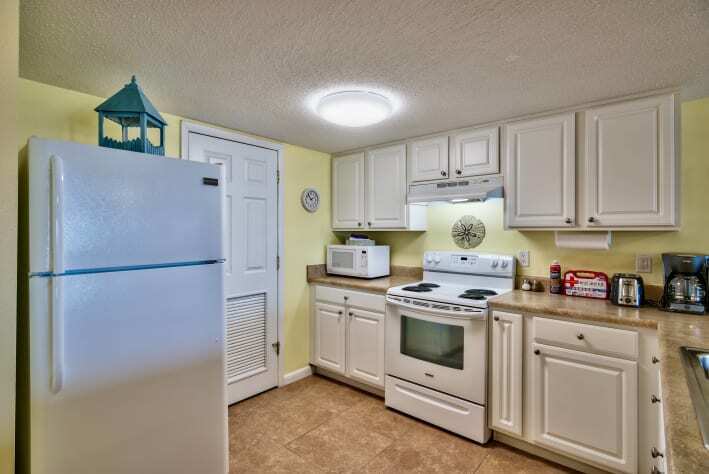 The laundry area with washer and dryer is conveniently located adjacent to the kitchen. There are books to read if staying indoors, a DVD player and DVD library in the salon, and games for when it rains. 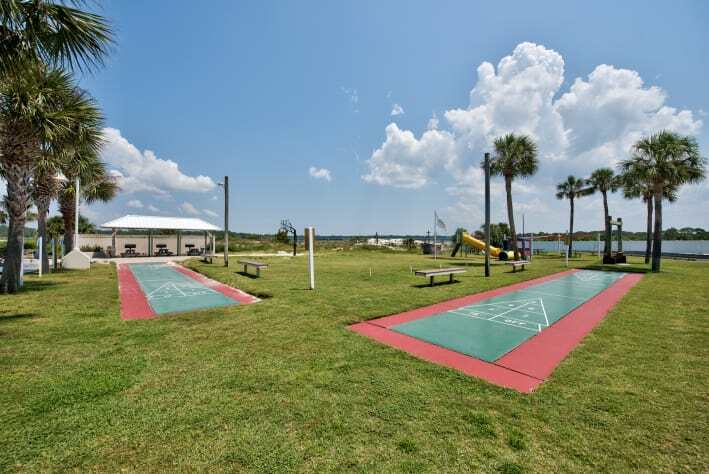 There are more than a handful of area golf courses nearby, with shopping at the Panama City Beach Pier Park which brings dining, shopping and tourist attractions to the Panama City Beach area in one location. 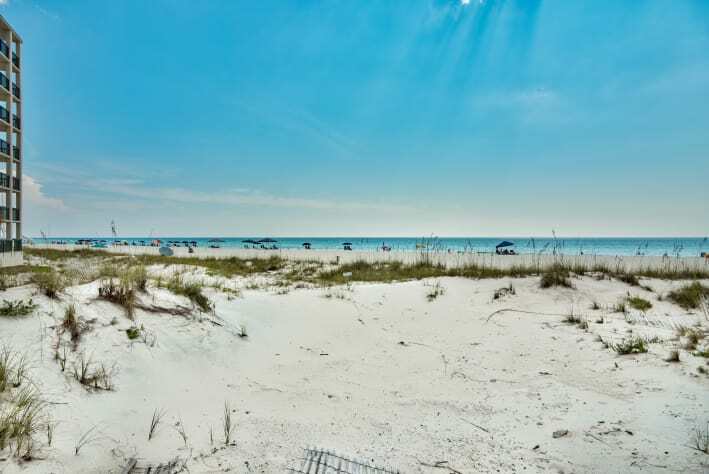 Naturally, there are restaurants, shopping, and all varieties of adventures throughout the entire Emerald Coast Area. 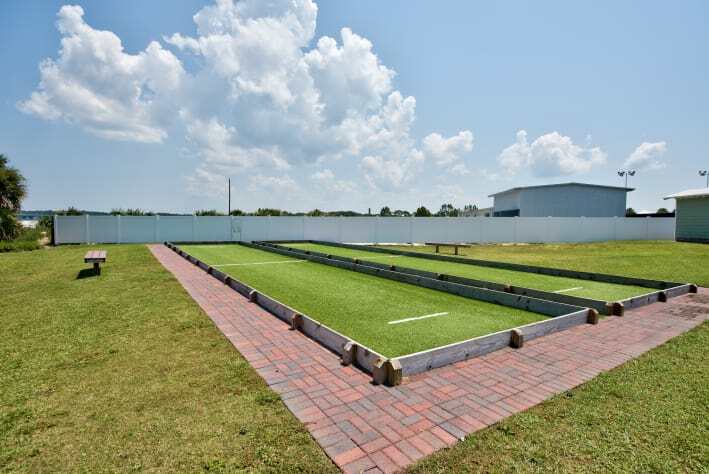 The convenient Northwest Florida Beaches International Airport nearby is located at the intersection of Highway 79 and Highway 388. Payment accepted by credit card booking on line, 50% due upon booking. Full payment required prior to arrival. Optional travel insurance by Travel Guard provides protection against unexpected weather events which might delay, interrupt cause cancellation of your trip. A mandatory $49 fee (in lieu of security deposit) covers accidental damage protection for any damages or accidents, subject to exclusions and limitations that occur to the premises during your rental period up to $3000. Damage or accident not covered under the policy will be the responsibility of the leaseholder. This is a great place to stay. My family owns another condo in the community but we had a really large group so we needed a second condo. This is the one we'd choose every time we need two! It was clean, convenient, nicely appointed, with just the right amount of personal touches to make it feel truly welcoming and hospitable. This is the third time my husband and I stayed in this condo. Once again, we were so pleased with how clean everything was and how fully stocked this unit is. Having coffee on the deck, listening to the waves, enjoying the beauty of the beach, it just does not get any better. We always check this unit first when we are able to come to Fla. and we are always happy. Thanks again Pete and Chatt. Big thanks to Pete &Chatt for sharing their beautiful piece of paradise. Everything was perfect in the condo,well supplied,clean and the view is amazing.What a wonderful month we had,we are looking forward to going back. 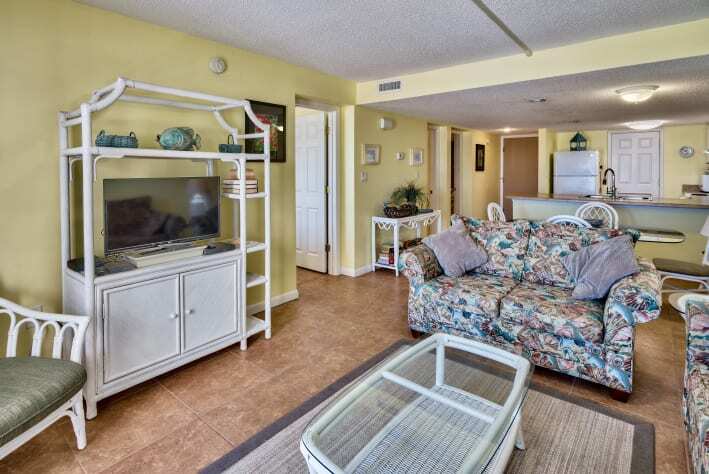 Spotless; super comfortable (mattresses and pillows and the sound of the Gulf = perfect sleeping),;parking (handicapped and regular) right outside the ground level door;the beach just around corner and right off the balcony; the fully furnished kitchen spotless ; coffee - brewer and Keurig; books; easy directions for TV, DVD, etc. ; of particular interest the owner's beautiful nature photography on the walls with interesting descriptions below; everything is simply tasteful and first class. Bravo, Pete and Chatt, your condo is a special treat. Thank you. 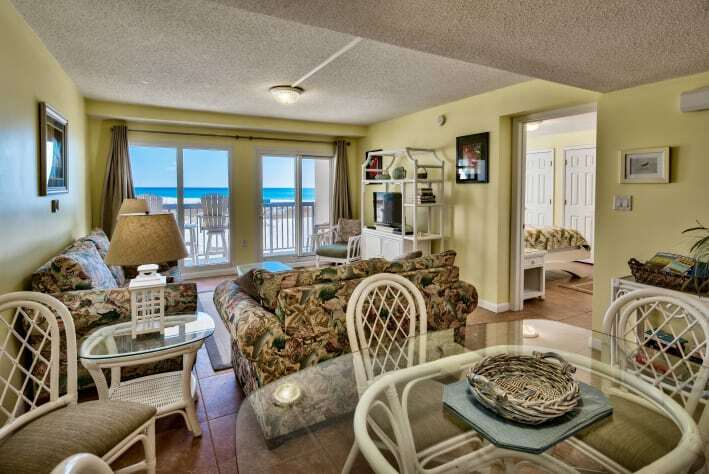 Dear Judy and family, thank you so very much for the wonderful words about our condo. What you have described is what we aim to achieve for all our guests. Chatt and I are thrilled you had such a relaxing, enjoyable stay and you are, of course, welcome back anytime. Sun, Surf and Sand awaits your next visit. Thank you Pete and Chatt for sharing your wonderful condo with us! Your pictures and descriptions of the unit prepared us perfectly for our stay there. We found everything we could possibly want or need on the inside, and everything your pictures promised on the outside. We are older and people of size, so we have some mobility issues, but we were still able to enjoy some great beachtime every day because of the short walk from your front door. We also loved sitting on the roomy balcony and reading a few books from your collection. We swam in the pool right across the parking lot and enjoyed that as well. Driving in and out of the complex was fun too. We got to read all the unique names that residents gave their stand alone houses with the cute signs hanging on the picket fences. Shopping and restaurants were close by for convenience, but we were happily tucked away from all the hustle and bustle, inside the gated complex. Our whole group, and a few relatives who visited us at the condo, also enjoyed all of the amenities and commented on what a great vacation spot we had. 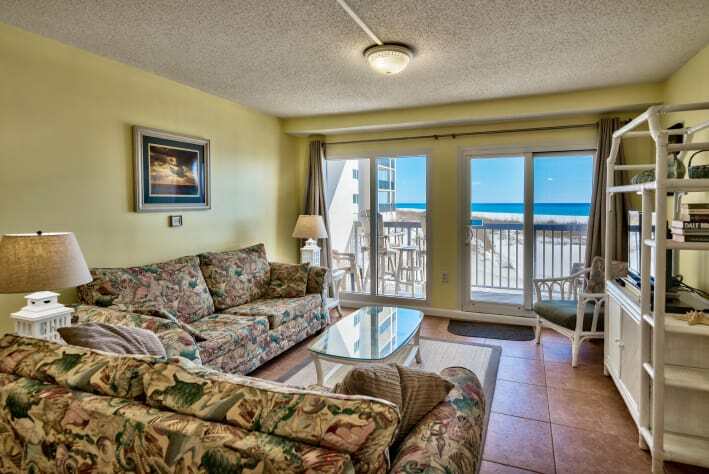 I hope our next trip to PCB falls on dates that your condo is available. We would love to stay there again. Thanks again for sharing your delightful piece of paradise with us. 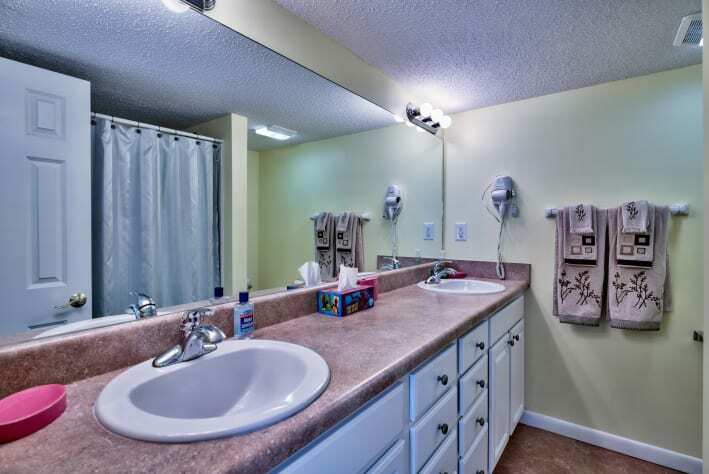 Wonderful condo & one that we would highly recommend! When making reservations you really do not know what to expect of the accommodations!! We were delighted with ours! Everything was spotless clean and so much thought went into the decorating down to all that one could wish for in the kitchen!! There were a good variety of games, puzzles, CD & books!! Wonderful information folder that had been put together! Our bedroom which had a king size bed was very comfortable the mattress & pillows were very high standered !! Our Bathroom was excellent also!! The second bedroom which had the twin beds our children had those and they said that they slept well!! We counted the steps from our front door to the walk way to the beach and it was 40 and then to the about 70 yards to the ocean!! Yes, we counted as we could not believe how close we were!! Thank you Pete & Chatt!! We had a wonderful time and we will be back to your beautiful condo!! We love this place. 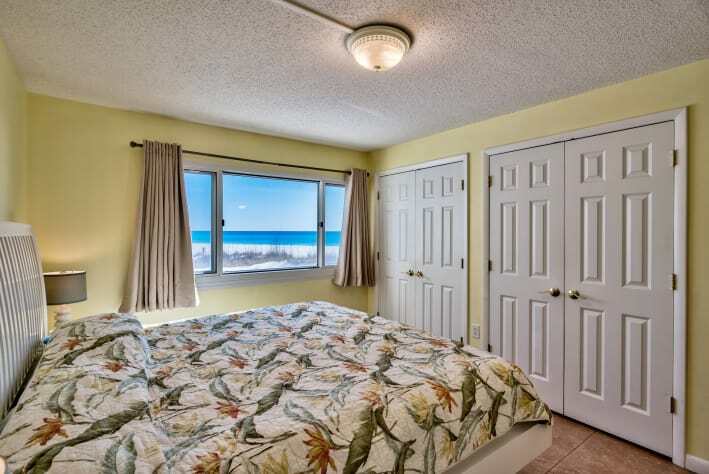 Everything we need is provided in the condo and it is ideally located to take advantage of the beautiful beach and the Gulf. The owners were great to work with. Ben, thank you very much for your review. We appreciate your taking the time to wirte a review, and we are looking forward to your stay next year. This condo was truly perfect and had everything you could want (and a few things we'd forgotten to pack!). The kitchen had everything you could possibly need. The bedrooms and bathrooms were spacious and comfortable. 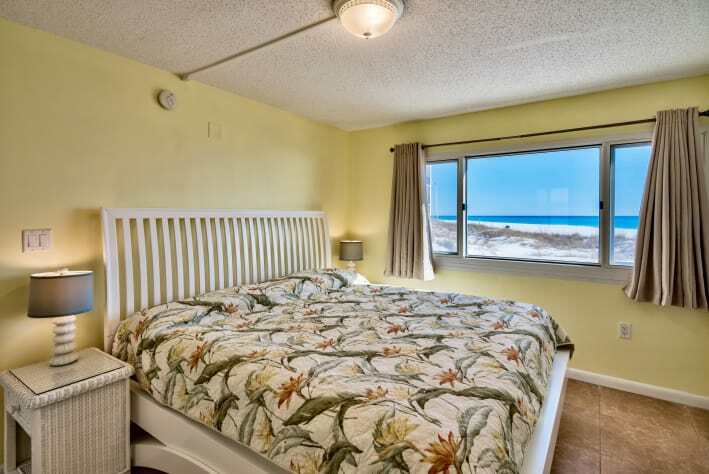 It opens up to a lovely view of the beach where we got the pleasure to see dolphins swim by one morning. There are multiple pools on-site for the kids and they are all great sizes. 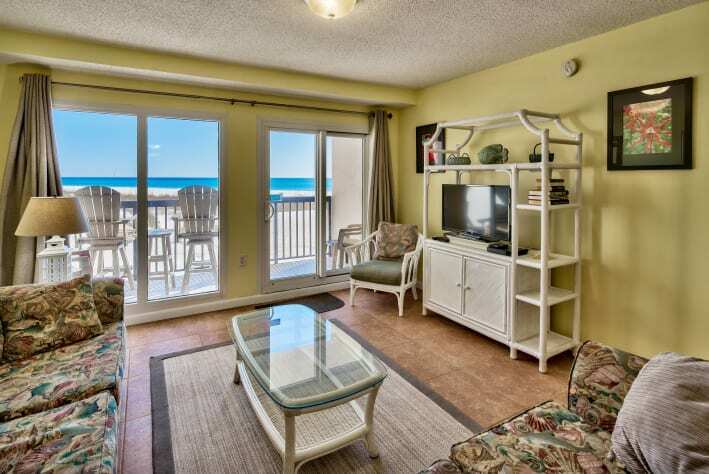 The beach is only a 30 second walk from the condo. It was a perfect week! 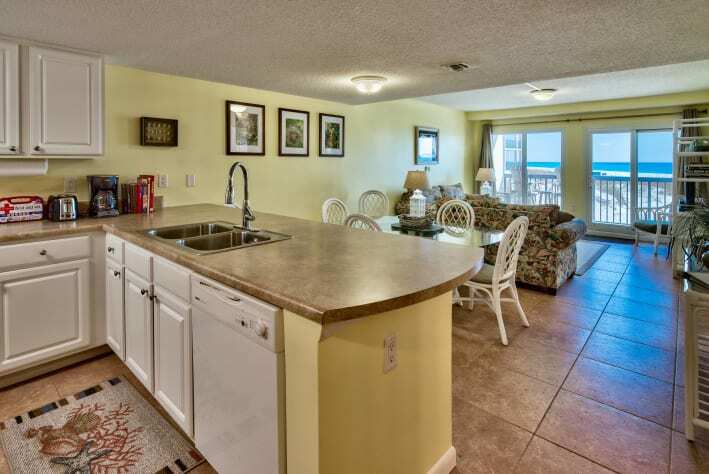 Thank you, Peter & Chatt for providing such a lovely condo for our family and making our vacation wonderful! If I could give more than 5 stars, I would! Hello Stacy! Thank you so very much for the wonderful review! 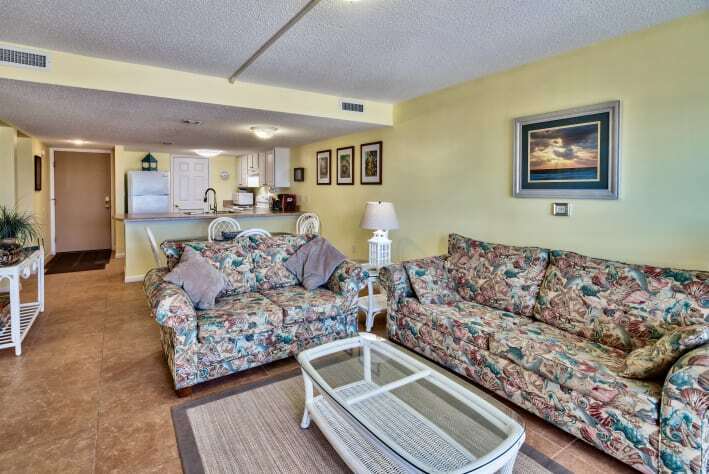 (I must tell you the condo where you and your family stayed is actually at Pinnacle Port!). Chatt and I are always thrilled to hear from folks who have stayed at the condo, it takes time and effort to write a review, and we are thankful that you took that time and effort. Many thanks. We are also happy that you and your family enjoyed such a great stay. As we have said in the past, our goal is to have the condo be a home away from home, and endevour to have it be a place that is clean, relaxing and a get away from the normal hustle and bustle of the workday. This is the absolute best unit we have stayed in at Pinnacle Port. The unit was very clean, and I am very picky. We loved the ground floor unit we could walk right in and out and having small children it was so convenient to run in for bathroom breaks and a quick snack. Pete and Chatt were excellent to work with and answered any questions I had before our stay. 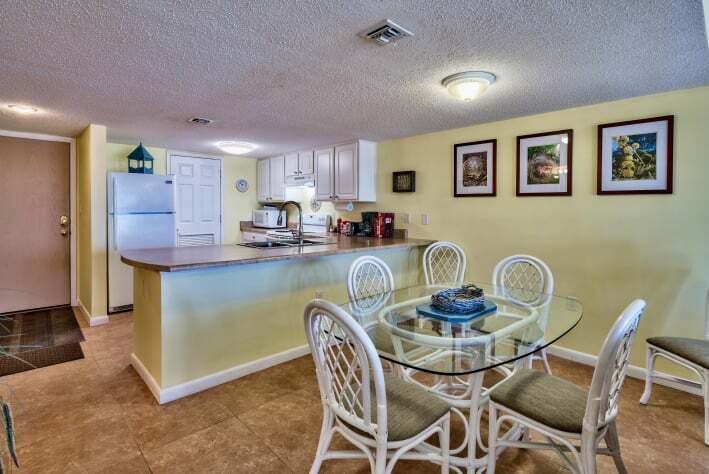 The condo is so well stocked with anything and everything you need, the kitchen has absolutely everything, we are used to packing things like blenders and griddles for pancakes and they had all of that and much more. I would recommend staying here to anyone and will definitely plan on returning when we visit Pinnacle Port again! 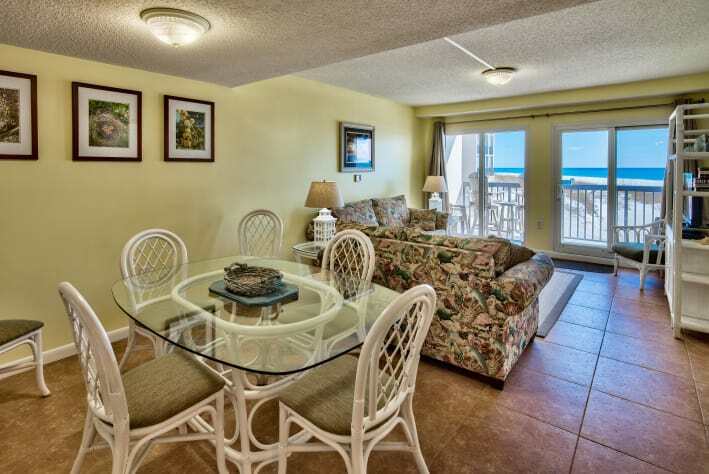 Awesome, clean 2 bedroom condo with the best view just steps away from the sand and ocean. Fully stocked with everything thing you may need. Just bring a beach towel and sun screen. 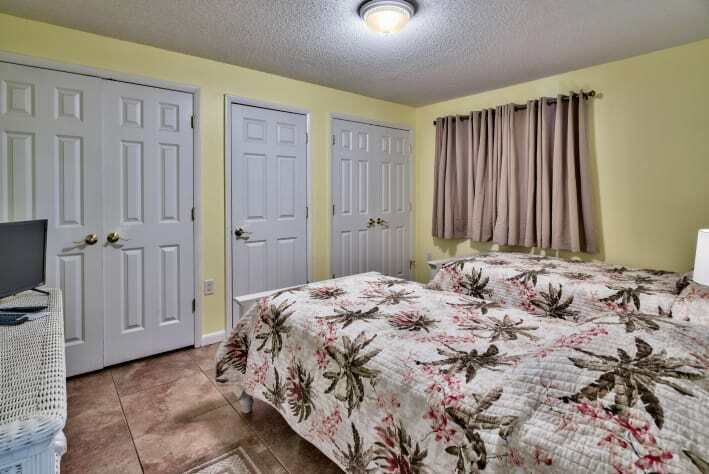 This condo is ground floor and steps away from the parking lot. Centrally located to great restaurants. Thanks for a Awesome stay. ???? We had a wonderful time. The condo was very clean and the view was awesome! Kitchen had everything you need including a Kuerig and regular coffee pot. Thank you and hopefully we will be back again.